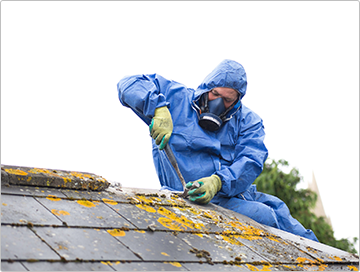 Asbestos Removal Melbourne is your go-to for reliable asbestos removal services no matter where you are located in Melbourne. 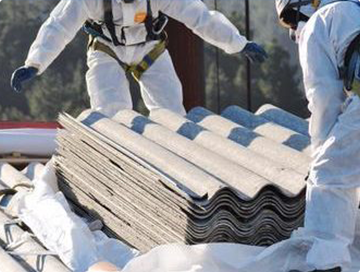 Our team of professional asbestos removal contractors provide a full-service range for any type of customer in need; domestic, commercial or industrial. This means we offer our services from the very first site consultation through to waste pick up when the removal process is complete. Our team at Asbestos Removal Melbourne, is experienced in industrial asbestos removal and always operate with care and efficiency to ensure all asbestos and contaminated materials are completely removed from your industrial properties and structures. 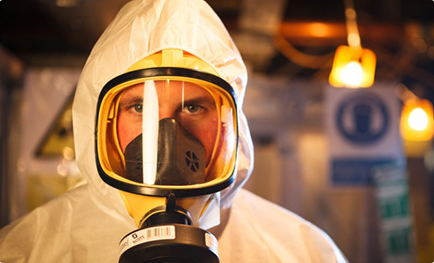 There is no room for error when it comes to asbestos services. Failing to correctly dispose 100% of asbestos-containing materials will not only leave you out of pocket but will mean the health and safety risks will still be present in your property. 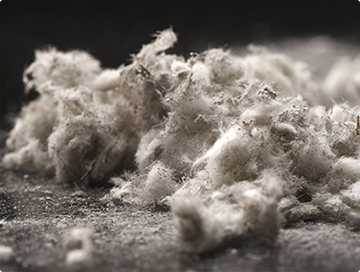 There is no ‘safe amount’ of asbestos, inhaling even a smaller amount of asbestos fibres over the long term can cause serious health implications and respiratory problems. So while you can opt for a cheap asbestos removal option, you can’t afford to hire a below-par service. You do not ever need to worry about remnants of asbestos being left behind with Asbestos Removal Melbourne. Our team pay close attention when it comes to waste removal, we thoroughly collect all waste materials for pick-up and ethically dispose of asbestos containing material and products in EPA registered landfills. If your home was built or underwent renovations in the 1980s or earlier, it is highly likely that it was made from some kind of asbestos-containing building materials. If you know, or suspect that you have asbestos in your home, contact our residential asbestos removal contractors as soon as possible. If you are planning renovations or major home improvements it is important that your home is treated for asbestos beforehand as asbestos become a significant threat when disrupted. After a personal on-site consultation and inspection, our team will get into every necessary nook and cranny to fully rid your home of asbestos so you can ensure the health and safety of your family. Our contractors are fully licensed and operate according to regulation. We offer a full range of residential removal services so you don’t have to deal with any extra hassles. Why Choose Asbestos Removal Melbourne? At Asbestos Removal Melbourne we are devoted to customer service and maintaining our high standard of service every single time, with all our asbestos removal solutions: industrial, commercial and residential. A division of Melbourne District Demolition, we have many years of industry experience and have a strong, reliable reputation on delivering large projects to a high standard, within your desired timeframe and all for affordable prices. If you require asbestos handling and removal services as part of a knock down and rebuild project or want to hire removalists you can trust to handle a job on a sensitive structure, we are here for you. We are fully focus on achieving our goal of ridding Melbourne homes and businesses of asbestos to the benefit of all residents; families and workers. We are adamant in ensuring our team always follow all relevant safety measures and regulations to ensure the best service possible. 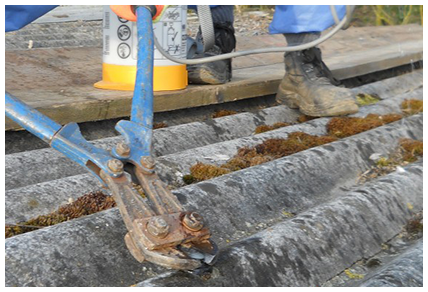 Each of our asbestos removal services starts off with a free of charge, on-site consultation, so that we can understand your needs, get an idea of the problem and make sure you, too understand the process to be undertaken. Although the cost of asbestos removal will vary on a case-by-case basis, you can request a free quote to get an idea of the kind of pricing to expect on any of our services. If you have any questions regarding any of our services, cheap asbestos removal, the signs of having asbestos in your home or office or how to identify asbestos containing materials, contact our team today, we will happily answer all questions. We operate six days a week and service all property types so whether you are in need of residential, commercial or industrial asbestos removal and pick up services you can trust. To learn more, obtain a quote or book your free inspection contact Asbestos Removal Melbourne today.